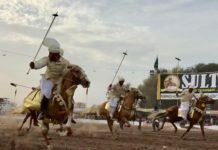 Pakistan Super League (PSL) is one of the few initiatives that brings the whole country together to celebrate valour and patriotism through cricket. While many fans are hyped up by seeing their idols play valiantly, some are charged by the official anthem of the franchise. 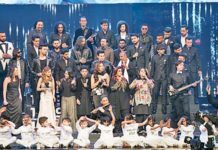 For the past three years, Ali Zafar has nailed these anthems by providing his vocals. However, this year is a total game changer. 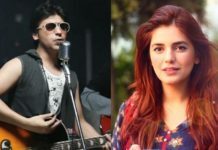 Reportedly, Zafar will not be singing the official anthem of PSL 4, and has been replaced by Fawad Khan, Shuja Haider, and Young Desi, who will lend their vocals for the song. This could be a major ordeal for Zafar, as he had the position in the bag for three consecutive seasons, and yielded exclusive hits like Ab Khel Kay Dikha, Ab Khel Jamay Ga, and Dil Se Jaan Laga De. The details about the abrupt change and the nature of the song are being kept under wraps for now. 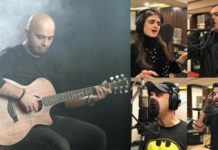 Shuja Haider and Young Desi’s Coke Studio performances have garnered mellow reviews, but Fawad Khan remains a cult favourite among the masses. 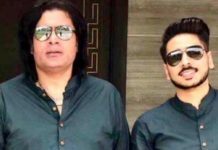 On the other hand, Ali Zafar has had a splendid year professionally, in terms of Teefa In Trouble’s success, but is yet to comment on the matter at hand. For now, one can only wait for the anthem to drop, and for fan reactions to come pouring in. 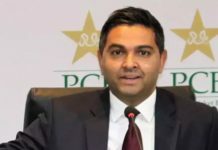 As announced by PCB, PSL 4 will start from February, 2019 and matches will be played in five grounds, including Dubai, Sharjah, Abu Dhabi in UAE and Karachi and Lahore in Pakistan.